Still hungry? Listen to more Hunger Games. Ah... I think after the strong ending in "catching fire" that mockingjay might become more action oriented. What I didn't bargain on was the book becoming so dark and for so long. I guess Hunger Games and Catching Fire had element of colourful naive adventure in them. Mockingjay is not colourless but dark, confronting and causes a ruckus of emotion in the listener. I can understand people not liking the book - because it isn't what they had signed up for. They had signed up for light YA games. This is the mature adult reality of life. Suzanne Collins causes the readers to grow up to these issues quite quickly. They need to realise that the book is still beautifully written and narrated. There is still a story and a message. I think the ending gives closure but not the warm pleasant feeling of a happy ending. Everyone must wish that certain bloody events didn't occur. Definite worth listening but be warned - don't expect everyone to come unscathed and DO keep tissues handy. You will NOT be disappointed - fulfilling finale.. I have read many poor reviews for this final book in the Mockingjay series - to the extent I almost did not read it. Thank goodness I decided to put those aside and form my own opinions. I don't leave this series full of disappointment , frustration or angst. I depart feeling saddened but encouraged - knowing a long due resolution and sense of completeness and hope was provided to the much abused characters. I was worried I would regret investing in the main characters, but the opposite is true. The author provided both a compelling storyline and a fulfilling resolution to the many difficulties faced throughout this series. As to those who lament the darkness of the story, the destruction of life, or the poor development of characters - I say they must be idealistically naive souls who have yet to face the realities of this life. There was no indescriminate destruction of life, but a sorrowful depiction of what so often occurs during those horrible situations so commonly arising during war. As to character development, how would you imagine a teenager thrown into horror movie scenarios in an attempt to protect her little sister's life, only to lose so much to the very people she thought were on her side in the end would be affected? To have all illusions shattered at such a critical and tumultuous age would be mind-numbing and life altering at best. Most people would never recover to the point they could live normal lives following such torturous abuse. These strong characters manage to give others hope by not only surviving, but in choosing to LIVE. If you were to lose all that mattered most to you, be physically tortured and mentally attacked brutally and repeatedly, would you be strong enough to face your fears and choose to continue? To be part of a new and hopefully better world? 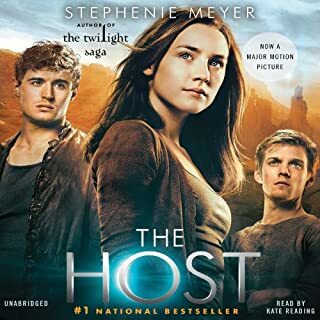 I commend the author for her depth of commitment to an honest depiction and her strength imbued to characters enabling them to embrace the hope needed to survive. After reading some of the other reviews I was not sure how much I would like this last book. However I knew I had to read it so I would know how the story ended. I am so glad I put the opinion of others aside and read with an open mind to decide for myself if it was a worthy read. I don't think the book could have ended any other way. This is not a story about sunshine and roses (no pun intended). It is about children forced to pay for the sins of their ancestors. The whole subject of the series is dark and disturbing and if you go into it knowing it is not going to be a feel good story your appreciation of the ending is greatly enhanced. Katniss is not a super hero she is a teenager who has been physically, emotionally, and mentally abused. She has been put upon a pedestal against her will and expected to know all the answers, when in fact she is just a child trying to make her way in a harsh cruel world. I like the fact that she doesn't have all the answers, that she breaks down and not always does what is expected. This makes her a much more believable character, much more human. If you pay attention to the personalities of the characters in the story they are all flawed, so it would not fit if she always knew and did the right thing. This is a story about real people with all their faults, not super heroes, which is what makes the story a much better read. The story line is dark and tragic and if you are not able to read about bad things happening to children this is not the series you want to read. It is not a feel good story, but it is very thought provoking. It will make you have second thoughts about the state of our world as we know it today. Not what I expected, but . . .
My first reaction to the conclusion was that the book lacked a certain sense of triumph. I wanted good things to happen to characters who I'd come to love. However, I have listened to the book twice, read it once and re-read the last few chapters a number of times. I think Collins point was to make the book as war-like as possible. There is loss. There are many, many things that the survivors will never recover from, yet they live. I thought Collins conveyed the sacrifice of change very well. I haven't been able to stop thinking about it. Katniss Everdean is a hero. I love this character. She is a survivor, but she survived with class. She kept her humanity intact in a crazy world. I am wondering how I would do under the same circumstances. I read Elie Weisel's must-read autobiography, "Night", just after I finished "Mockingjay". Weisel was a jewish teenager when he was taken by the Germans to Auschwitz. He doesn't know why he survived to tell the tale, but he did. The comparison of these two stories hit me hard, and I didn't know which was worse, the true story or the fiction. I think, as bad as Katniss had it, Elie Weisel had it worse. How can we treat other human beings so badly? It is way, way out of my ken, and yet, our society is edging closer and closer to that sort of thing every minute of every day. The Hunger Games trilogy is a warning to us to hold on to what we have, and most especially, hold on to our humanity. As always, Carolyn McCormick is an outstanding narrator. This trilogy has to be one of my favorite book series, and this book is a fantastic end to a fantastic trilogy, with a twisted ending. As with all the books it is a quick read, and I think the target audience really is for both adults and teens, but not any younger. The characters all have major faults and change throughout the book in what I would call a realistic way. One major point to remember is that Katniss is NOT the heroine of the story, but rather a pawn of politics, if you are expecting her to be the great hero in the story you will be sadly disappointed. This book has a different feel than the two other books which are based around the actual Hunger Games, this one's setting is the battlefield between the Districts and the Capitol. This book is very much a tragedy and does not have the type of happy ending ending I was hoping for, although it does tie up the loose ends and I think tried to make the best of the situation and had a very natural and realistic end. I feel love and hate for this book. What did you love best about Mockingjay? It was awesome, this book has everything; love, hate, action, war, you name it. I was always rooting for Gale, but this book made me love him even more. He loved Katniss so much that he was willing to make any sacrifice for her; what girl wouldn't fall for that? I loved all the action of this book, it was truly amazing, but I didn't love how Katniss fell apart, and I didn't love the end. The way it is written makes complete sense, and is probably how a person would handle it, if it were real life, but I just didn't like it, I wish she was strong and unbreakable to the last moment. This doesn't say anything about the author or the writing, just my preference. I guess I disagree with most of the negative reviews... I don't think it was that bad. It wasn't as great as the first two books, but it tied things up reasonably. Yes, Katniss was a little whiny... but she's just 17 years old, so I think it is realistic. If no one dear to Katniss died, then it wouldn't be realistic. I am not disappointed at the ending... if the ending was a completely happily ever after ending, it would have seemed fake. Overall, I liked the series. I am looking forward to the movies b/c the author will be involved in the project. I was completely in love after reading Hunger Games. I anxiously waited for Catching Fire and likewise counted the months, then days for the release of Mockingjay. I finished the book, and was just sitting, staring. My husband asked me if I was okay. I wasn't sure. The book was jarring and left me depressed. The author is a wonderful writer and narrator was great, but the story was grossly disappointing. It always seems that the last chapter of trilogy books are a fast forward, tying up loose ends but there is no depth, just a few words of resolution for the reader. Mockingjay feel into that trap. I adored the first, less so the second because of its abrupt ending, but I was very disappointed in the final installment. 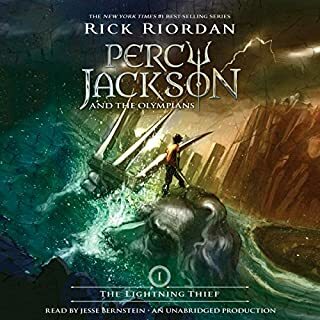 The book was narrated well enough; I think it was done far better in this book more due to the fact that the mental state of the characters in this book suited the narrator's strong area. 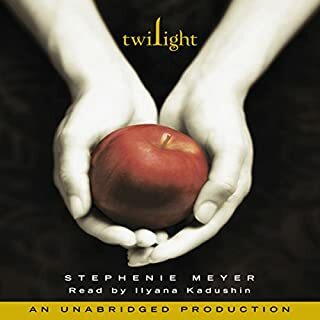 The narrator does tortured/confused very well... you'll get what I mean when/if you listen to the book. Katniss Everdeen is still fighting for her life. The Rebels have taken up their weapons in a seemingly useless war against the Capitol and its leader, the maniacal President Snow. Katniss has been used as a catalyst for war, manipulated into becoming The Mockingjay: a figurehead of political resistance, by another would-be-totalitarian leader, when all she ever wanted was to protect those she loves and live out a relatively peaceful existence. However, the final book of The Hunger Games trilogy offers anything but peace. This is, by far, the most harrowing of the series. 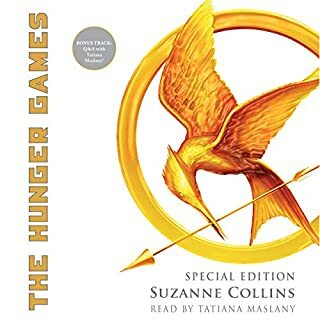 The book has received criticism from some for being "too dark", but surely Suzanne Collins needed to be dark in order to deal with the subjects of political oppression, identity crises, PTSD and familial loss? She affords her YA audience the respect of not "dumbing down" the messages of her series. District 12 is gone. Katniss' best friend, Gale, is slowly becoming as ruthless in his methods as any of the game-makers ever were. And Peeta is gone, his mind "hijacked" by the Capitol so that now whenever he looks at Katniss, he feels the overwhelming urge to kill her. Katniss is slowly losing everything she has and everything she is to the war. And there's more to lose. If you're looking for happy endings then I can't say that this is a book/series for you. After losing so much, fighting so much and both feeling and causing so much pain, how could Katniss get a fairytale "happily ever after"? She's fighting a war and thus there are inevitable casualties... some of them heart-wrenching. If, however, you're looking for a great read with characters whose plight will keep you gripped, writing which echoes the dystiopia it weaves, and a heroine who is pretty darn cool, then I can't recommend The Hunger Games Trilogy enough! 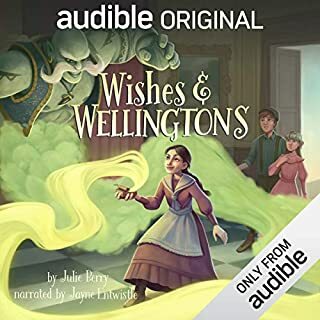 Having listened to the previous 2 books, I still dislike the narrators flat, monotone voice as the main character...they should not have let her sing for sure. Having said that, her characterisations/voices are better than the main characters voice, which is unusual. I personally found this final book a little tedious, in spite of the action and was in fact relieved when it was over. Too much tummy button gazing with the internal monologues and spoken thoughts for my taste. I also found that there was uncessary level of detail on the torture and violence, which was almost continuous throughout the book. Having said that the plot was interesting with some surprises in store, so if you liked the prevous two books, you will not dislike this one...but not as good as the others in my view. As I had been waiting for since around the end of the first book or the beginning of the second, the Rebellion is in full swing. And while it does not play out like I had expected, it keeps the sense of realism which hooked me on the first book. The unexpectedness of the series in general is one thing that I really like about it. There are no easy fixes for our main characters, but at the same time it is not all hopelessly dark either. Even though in this book, more than the others, the bright spots are few and far between. If you have already read the other books, you definitely need to read the ending to the story. But if you have randomly stumbled upon this, and are reading the reviews to see what it's about, go and read/listen to the first book in the series; The Hunger Games. Because this series does what really great SciFi does, it makes you forget it is about the future, and merely uses a made-up environment as a backdrop to explore the human condition. Though this one is hauntingly close to what we could find real. I found this book to be a wonderful conclusion. True, there is no Hollywood ending where every this is made okay, but it is not a greek tragedy either, where everyone are doomed from the beginning. This series is quickly become one of my favorites, and I really like Carolyn McCormick's narration of it. Having listened to the first two books I had to finish the series. I had hoped that Catching Fire suffered from 'middle book of trilogy syndrome' and Mockingjay would be an incredible ending... but sadly it was the weakest book of the lot. I found it hard to invest in Katniss and the other main characters (something that wasn't the case in the previous two books) and the plot was far weaker than either of the previous books. I wasn't expecting a happily ever after ending but I was still dissatisfied with the actual ending. It just didn't sit right with me. It is worth listening to if you have read/listened to the other books, but keep your expectations low. I love this book it exports you to another world. my daughter has listened to it 3 times and love it so much. 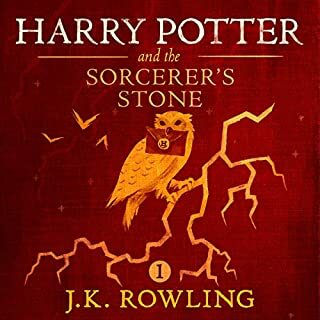 I have enjoyed all the books in this series and I believe I will listen to them again. The voice to begin with is little strange but noting you can't get past. Absolutely amazing book. I have never been as moved by books as by these. Will certainly stay with me for a long time. Not sure.. But Mockingjay is a slight let down on the first 2 Hunger Games books. What does Carolyn McCormick bring to the story that you wouldn’t experience if you had only read the book? Mockingjay Parts 1 & 2, Like hollywood is doing!!!! Its a long book and the story seems to become a little tired. I think this is because i this book the author leaves the "in the arena" formula that was so successful in the first two books. But I can see why the depart from the formula was necessary in this third book. I was disappointed by the ending a little. It would have been good to me to have had a happier ending, i would probably feel more satisfied. But its still an excellent book especially if you have read the first two hunger games books. What would have made Mockingjay better? Maybe the writer got tired of writing. The story was poor and I'm so disappointed. The 1st two books was AWESOME indeed but this one is not awesome. 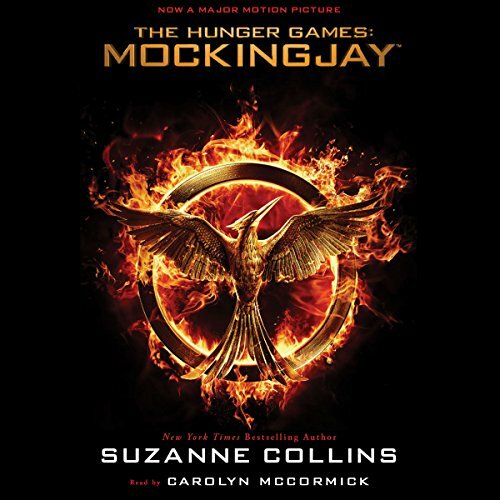 What could Suzanne Collins have done to make this a more enjoyable book for you? I'm very sad that I finished them all. I liked this final book in the series, it had twists and turns that I wasn't expecting. The performance was again top notch, Carolyn McCormick is one of the best narrators on Audible. If you have read the first two books then you have to read the third and finish it. You won't be disappointed. Overall I enjoyed this trilogy, and will continue by watching the trilogy on streaming TV. There were some times I felt the players were acting out of character but generally they remained quite constant. I love this series however i definitely struggled with the accent of the narrator. I found at times her attempts to portary the voices of different characters lacking, in particular Plutark.